Conveniently located near the ski slopes, this Renon hotel is 0.9 mi (1.4 km) from Earth Pyramids of Ritten and within 12 mi (20 km) of Ski & Wandergebiet Rittner Horn and Renon Cable Car. Piazza Walther and Runkelstein Castle are also within 12 mi (20 km). 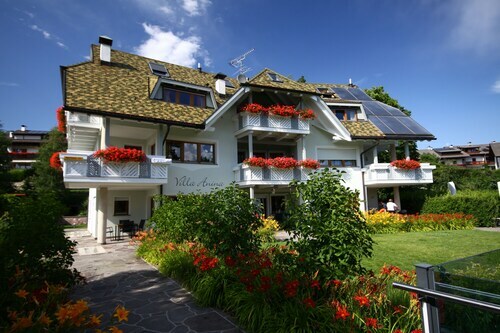 Situated in a rural location, this spa aparthotel is within 1 mi (2 km) of Isarco Valley and Earth Pyramids of Ritten. Ski & Wandergebiet Rittner Horn is 3 mi (4.8 km) away. 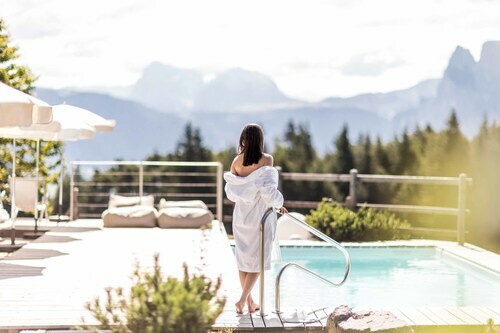 Set amidst the mountains, this ski-in/ski-out hotel in Renon is within a 5-minute walk of Isarco Valley and Ski & Wandergebiet Rittner Horn and close to winter sports such as cross-country skiing and skiing lessons. Ortler Ski Arena and Earth Pyramids of Ritten are also within 6 mi (10 km). 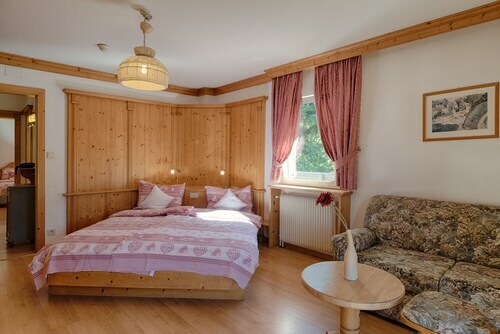 Conveniently near skiing facilities, this Renon hotel is located in the mountains within 3 mi (5 km) of Isarco Valley, Ski & Wandergebiet Rittner Horn, and Earth Pyramids of Ritten. Ortler Ski Arena and Renon Cable Car are also within 12 mi (20 km). How Much is a Hotel Room in Collalbo? Hotels in Collalbo start at $81 per night. Prices and availability subject to change. Additional terms may apply. Visitors will unearth plenty of apartment and hotel options to select from in Collalbo. Get inspired studying the 22 hotel choices on Travelocity, which are all within a 6-mile (10-kilometer) radius of the city center. When you and your family are wanting to book a hotel that's no more than an easy walking distance from Collalbo's urban core, Naturhotel Wieserhof and Hotel Tann are more than suitable. The Seiser Alm Urthaler is situated 8 miles (12 kilometers) from the town center of Collalbo. Also, the Adler Dolomiti Spa & Sport Resort is positioned 10 miles (17 kilometers) away. Or, you could make a booking at the Hotel Castel Fragsburg or the Alpenhotel Rainell. The broader Trentino-Alto Adige area is worth discovering too. Get to know Trentino-Alto Adige's ruins and castles and enjoy its forests. Energetic travelers may also get involved in snowboarding here. 16 miles (26 kilometers) to the northwest of Collalbo, you can reach Merano Historic Center, which boasts Merano Theatre and Merano Christmas Market. 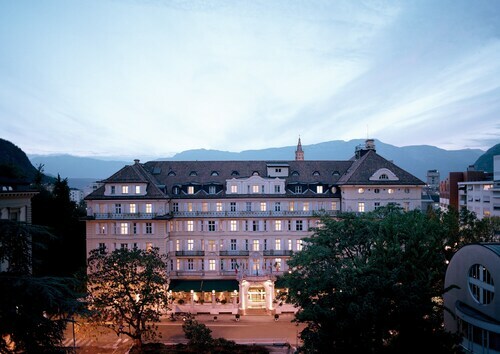 Some Merano Historic Center hotels and apartments include the Park Hotel Mignon and Hotel Terme Merano. For another option, head to Alta Pusteria, 40 miles (63 kilometers) to the east of Collalbo, where you'll find the Romantik Hotel Santer and Residence Ariston. The Gustav Mahler Zoo and Lake Dobbiaco are some of the most popular sites to check out should you visit Alta Pusteria. Before your Collalbo trip comes to an end, why not spend an hour or two hanging out with Alto Adige - South Tyrol sports obsessives at a community game. PalaTrento is 40 miles (63 kilometers) to the southwest of Collalbo. Modern visitors who enjoy the convenience of staying close by, make a reservation in the Aquila d'Oro or Hosting Culture Hotel Accademia. Situated 9 miles (14 kilometers) outside Collalbo's center is Bolzano Airport. 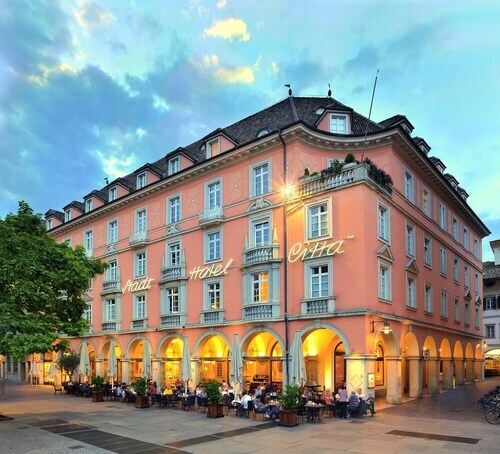 Find accommodation nearby at Eberle or Four Points by Sheraton Bolzano. 5.0 Beautiful hotel very close to the airport. Lovely hotel with beautiful garden. Our room was pretty, quiet, and comfortable. Very nice breakfast. My husband and I had a wonderful stay over the Christmas holidays. Great location, beautiful hotel, clean rooms, wonderful spa, excellent breakfast and I left the best for last...the most wonderful staff I have ever encountered in my travels! Congratulations to you all and to the manager. Thank you for making us feel at home and we can't wait to come back!! 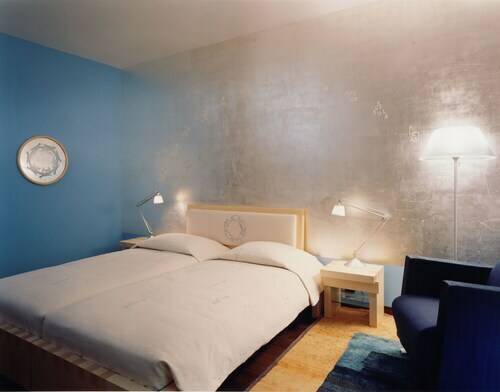 The Greif is an excellent hotel, very well located, with most interesting rooms. The staff is exceptionally helpful and the breakfast is likewise superb.